Ants - tiny, strong, focussed, good at working with others to achieve their goals and often with a nasty bite. Some of these characteristics (not so much the bitey ones) are also shared by Ant Workshop, a small independant game developer and game design consultancy based in Edinburgh, Scotland. Ant Workshop is a Develop and TIGA Award nominated microstudio founded in January 2015 by Tony Gowland to focus on developing original IP and interesting games with an off-beat sense of humour. The company's first title was Binaries, a BAFTA nominated controller-smashingly tough 2D puzzle platform game, released for Windows and Mac in April 2016, PlayStation 4 and Xbox One in August 2016, and Nintendo Switch in August 2017. Ant Workshop also helps other indies bring their games to Nintendo Switch (most notably, Mike Bithell's Subsurface Circular) and is currently developing its next title, Dead End Job - a cartoon twin-stick shooter for PC & consoles about a Paranormal Pest Control worker. Tony has been a professional game designer for over eighteen years. He has held senior and lead positions at Rockstar Games (working on hits such as the Grand Theft Auto: Stories series, GTA: Chinatown Wars, and 2010 Game of the Year Red Dead Redemption) and been Associate Creative Officer of Mobile at ActivisionBlizzard, bringing a brand new Call of Duty experience to mobile. There are far more images available for Ant Workshop, but these are the ones we felt would be most useful to you. If you have specific requests, please do contact us! 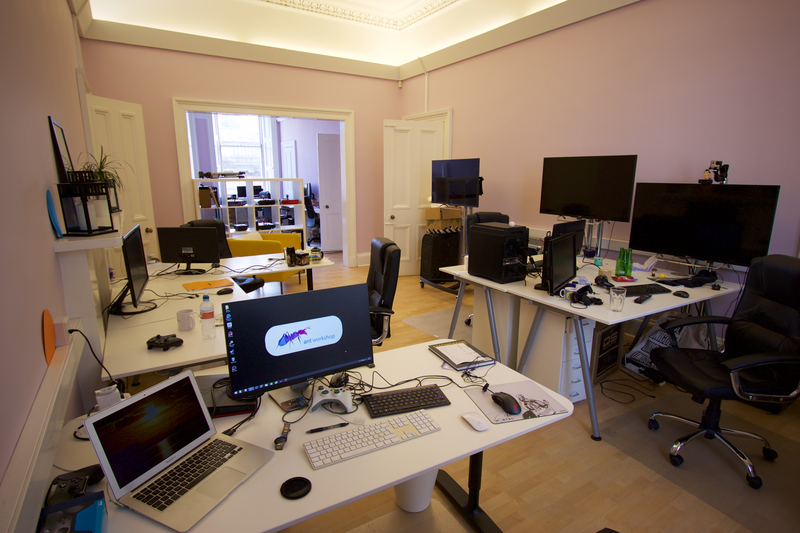 A piece about Ant Workshop's involvement in forming an Edinburgh game development hub. scotsman.com. 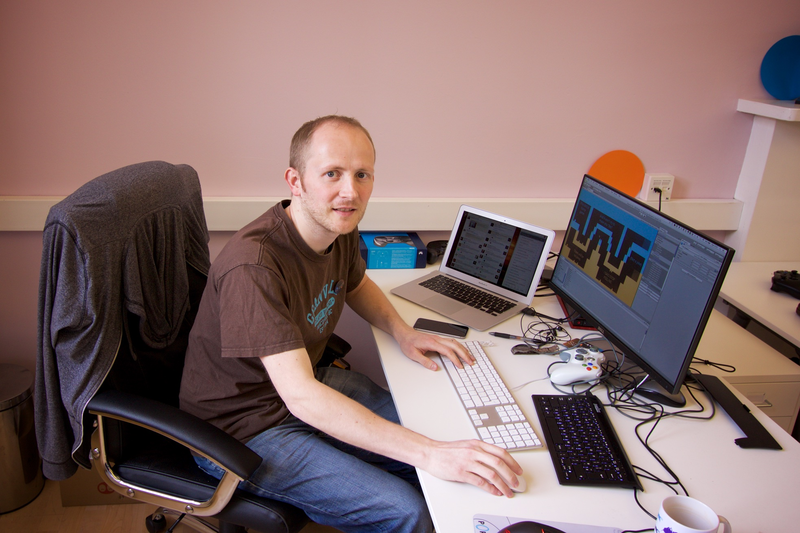 A short interview about routes in to the games industry and what Tony's job entails. guru.bafta.org.